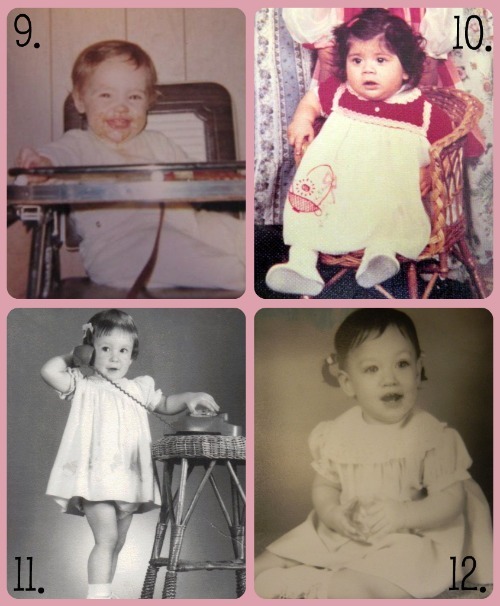 Shower of Roses: Name that Baby :: Announcing the Winners! 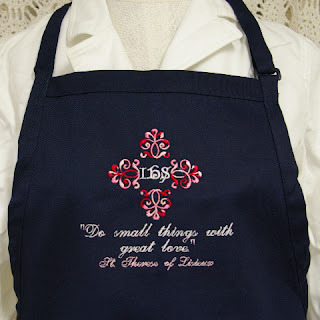 Kelly at The Careless Catholic was the first person to have the most correct answers, so she is the winner of the lovely apron from Catholic Embroidery! If anyone else would like to order one, it is also available for purchase at Catholic Cuisine, along with a number of other beautiful designs. My little sister JoAnn also had 12 correct guesses, earning her the second place prize - a set of measuring cups! Since she is a college student, getting ready to head to Rome for the first semester of her sophomore year at the University of Dallas, I think she might prefer the $10 I would have spent on the measuring cups instead. Congratulations to Kelly and JoAnn! I'm headed out the door to take the kids to Golf Camp and then back home for our Little Flowers Meeting this afternoon, so I won't have time until this evening to announce the rest of the winners from our Virtual Baby Shower Games... I hope you have a wonderful day and don't forget to stop by and wish Charlotte a very Happy Birthday! 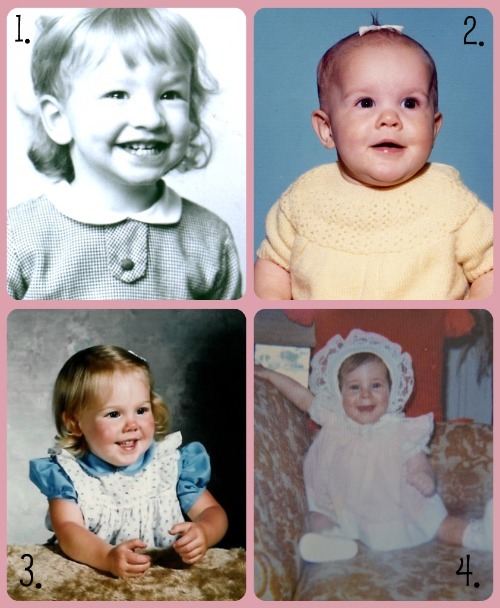 Mary Ellen's photo was an interesting one...I was sure it was Jennifer from Wildflowers and Marbles, as I could see her baby in the face...only to discover Jen baby photo wasn't in the comp! I was back to square one. It was a lot of fun, thank you Jessica! Oh wow...I was pretty off hahaha! That was great fun. Thank you Jessica for putting it together. 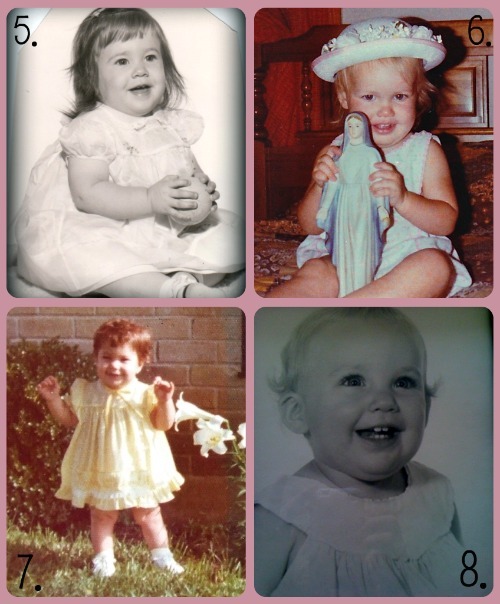 Your baby picture blew me away! Did even see it. This was such great fun, Jessica! Thank you! I went back and forth with yours between the right one and the wrong one and ended up choosing the wrong one. I thought for sure #1 looked like Barb's daughter. Wrong again! :) This was so much fun Jessica! Way to go Kelly and JoAnn! I hope you're having a great birthday, Charlotte! You sure were a cutie, as was, well, everyone. how neat now that I know the right answers. Turns out the ones I was so sure of I was wrong about. 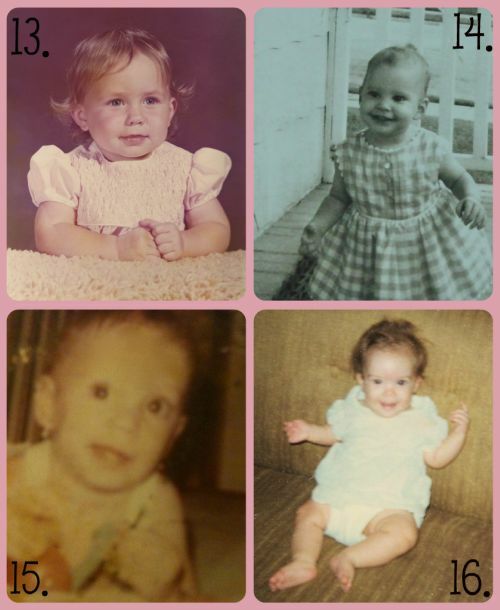 So cute with your blond hair as a baby. great job with the shower.